Together, we can create a smoke-free Hong Kong. The Tobacco and Alcohol Control Office of the Department of Health is launching this Quit Smoking App to assist smokers to overcome tobacco dependence. This app helps you understand the hazards of tobacco, introduces quitting aids and offers you tips to cope with withdrawal symptoms through video clips featuring local celebrities. 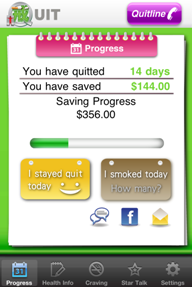 The app will also offer appropriate quitting advice, keep track of your quitting progress and issue regular reminders according to your smoking habit. 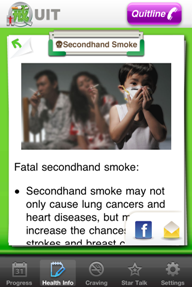 Non-smokers can learn more about quitting smoking and recommend it to your family and friends.